SPENT TIME IN OUTSIDE LANDS, 3-PART ARTICLE- Editor's Note: Last Friday FYM's Art Director woke up at 3:50AM (in the name of rock n' roll) to board a 6:15AM plane out of Seattle en-route to San Francisco USA (ultimately meeting up with our publicist) for Outside Lands 2011, held at Golden Gate Park. The following photo/video/thoughts are a few highlights of what made day one so special. Cheers, FYM. 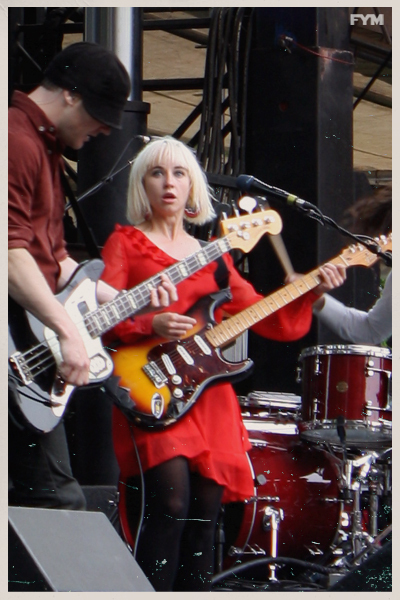 OUTSIDE LANDS DAY ONE: Pictured Above- North Welles natives (now living in London) The Joy Formidable ripped through an impressive live showing last Friday afternoon. The band won us over with angst-ridden guitar work, passionate emotional connections with their audience, and a grand instrument bashing finale. 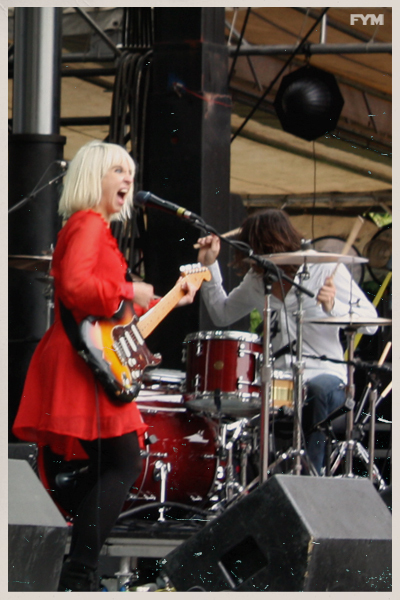 The Joy Formidable are now on FYM's must see list the next time they roll through Seattle. 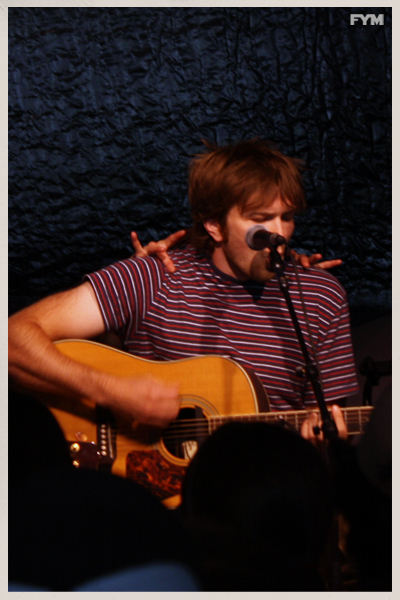 The band released a new record in 2011 called The Big Roar which can be heard HERE. 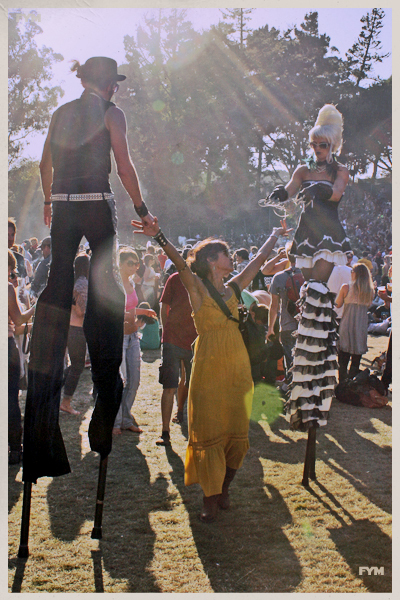 The natural Golden Gate Park setting, paired with the beautiful people of San Francisco (who welcomed FYM with an anything goes friendly mindset), and quality local food vendors- makes Outside Lands a one of a kind sonic/cultural experience for us. 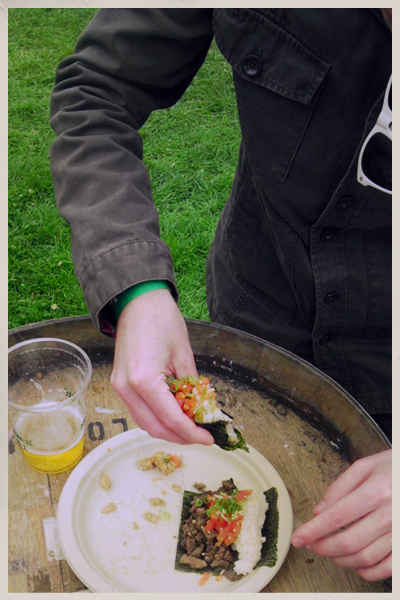 Pictured Above- Over the weekend FYM publicist Nick Codling consistently turned to SF food favorite- Namu Korean Tacos to compliment his free Heinekens from the press tent. 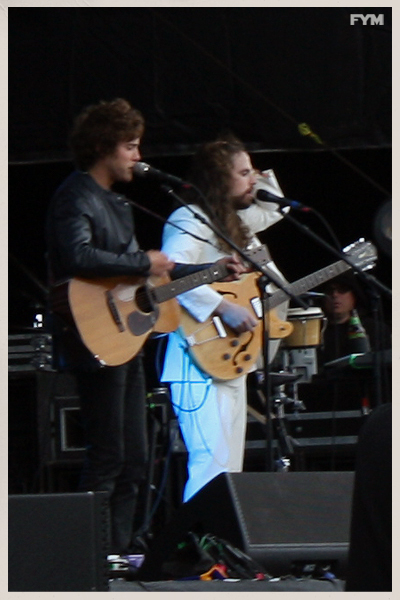 We saw many notable acts on the first day, and have pictures to prove it. 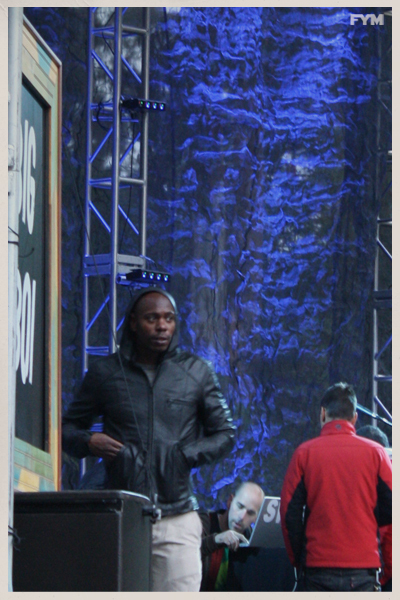 We just happened to be at the right stage at the right time- when comedian Dave Chappelle made a rare public appearance! 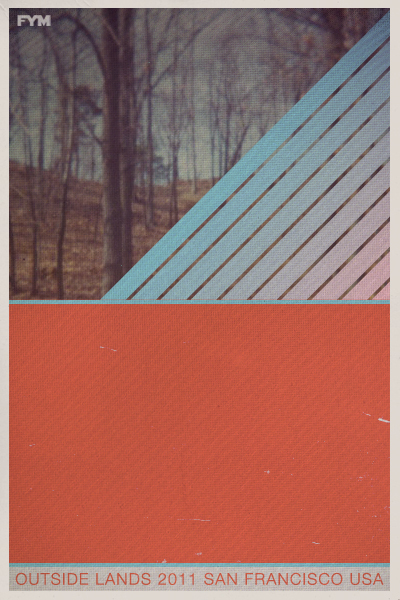 See below for the rundown.. Want more info on each artist below? Just click on their name to check out their website. 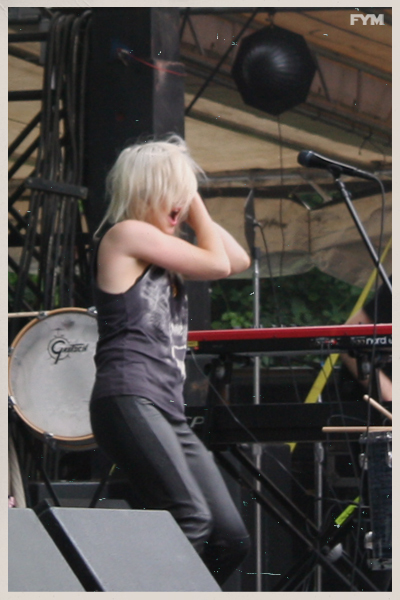 Ellie Goulding is an English electro-pop goddess live. Her 2010 breakthrough record Lights is a mega-fav of FYM's fashion correspondent Edwin Ross. The Loyd Family Players went H.A.M. 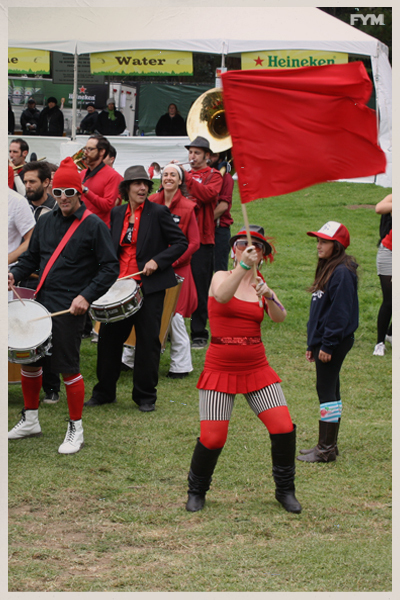 on San Francisco leading a color-coordinated, funky/joyous romp through Golden Gate Park Friday afternoon. 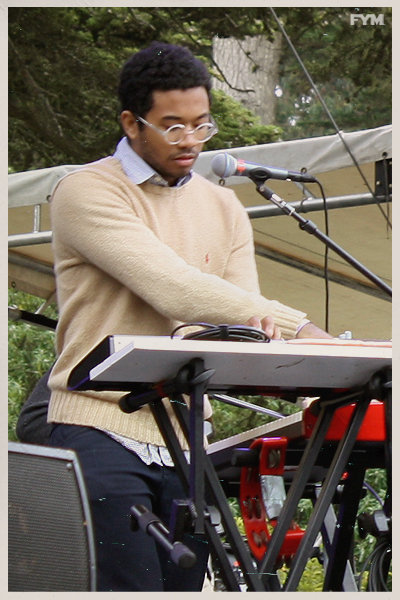 Chazwick Bundick, best known by his music moniker, Toro Y Moi -buzzed through a hypnotic, digi-soul, chillwave set on the Twin Peaks stage at Outside Lands. OK Go impressed us with an intimate acoustic performance on day one (before playing day two on the main stage) fielding questions from fans throughout. MGMT are one of those bands that could have been potentially ruined by the success of their three singles off their 2007 debut record Oracular Spectacular. Fortunately the stoned Outside Lands crowd was into it, singing along to the big tunes, and mumbling the words to the rest of their set. Phish is just one of those bands we needed to see live, (even if you don't dig their tunes) if anything, just to witness the surreal fanfare that surrounded us. 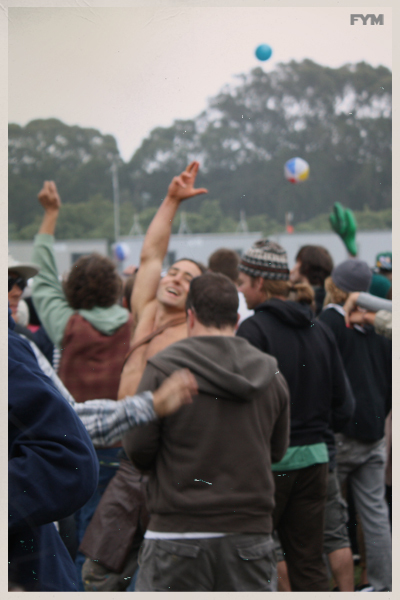 Our publicist was terrified to get closer to all the 'hippies' dancing and living free. But this art director somehow seemed at peace with them. 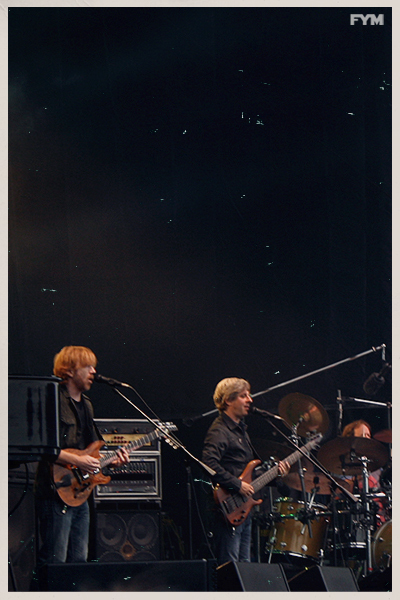 There is no question Phish is a crew of talented musicians, but at what point does their music seem original? For us first time viewers it was very pleasant, with positive energy marinating throughout the air. Pictured Above: Phish fans embodied the spirit of San Francisco- with genuine, kinetic motions- filling the sky with good vibes. Phish played two sets on the main stage of Outside Lands this year. While watching their set Nick and I joked about how the crowd looked like that Dave Chappelle and John Mayer skit- Why Do White People Love Electric Guitar (because everyone was dancing so crazy). 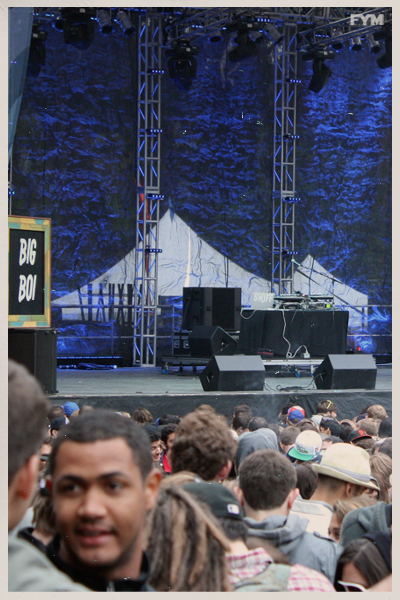 Eventually FYM's publicist convinced me to venture away from the stoners, zig-zagging through the massive sea of people, over a dusty hill, thinking we were about to see rapper Big Boi. The crowd was turning away, grumbles could be heard, and people were booing. 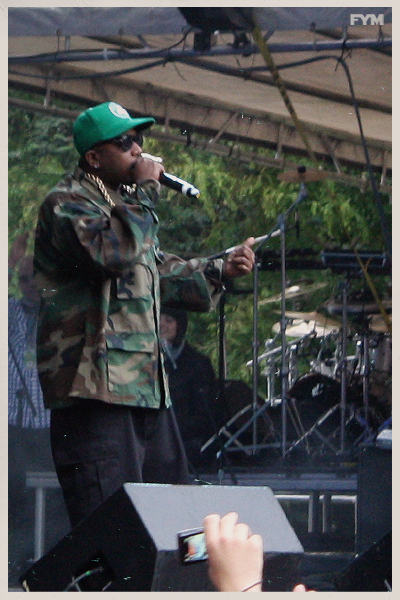 Over an hour past when his set should have started, Big Boi finally made an appearance on stage. He said their were DJ tech issues, and that he had been back stage for two hours. He next promised to be on in roughly 15 minutes. Chappelle has been laying low over the past few years, but he seems to be prepping for a comeback of sorts- just like in the Rocky movies, Dave has been going back to the roots of comedy. 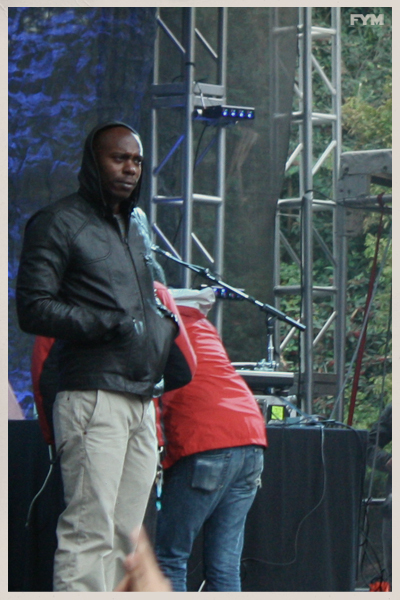 He's been playing stand-up shows in Oakland (giving short notice announcements/limited tickets) building up some underground buzz/comic-cred- Live, Chappelle mentioned he himself had put over 200 hours of stand-up in various clubs in Oakland over the past year. So because of all this Big Boi drama, we were like.. what about Badu? Erykah Badu was the whole reason why we waited through all the earlier situation. 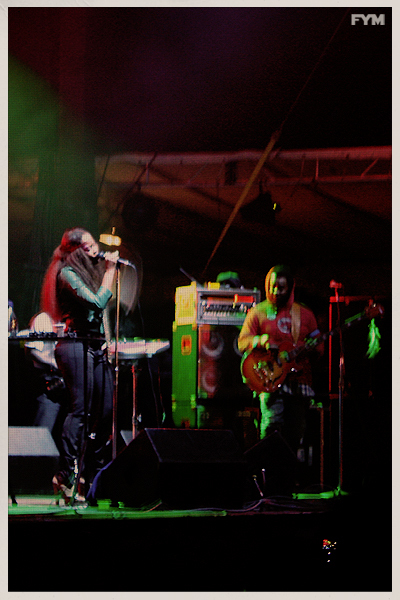 After a delay, the sugar-free neo-soul vocal temptress took stage with a massive live band. 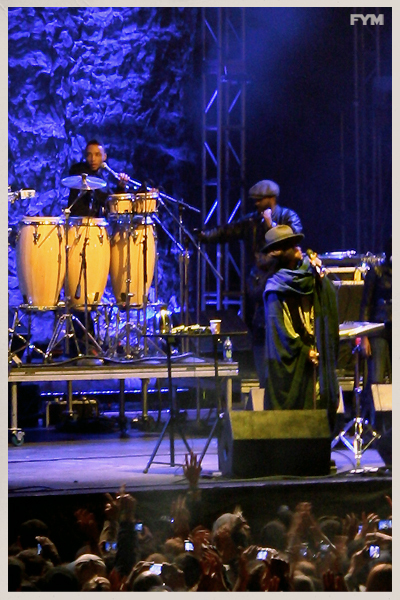 Badu is a powerful woman to be in the presence of. Live she comes off as a kind living being, always smooth and in control of the situation. Badu closed out our Friday at Outside Lands singing under the San Francisco stars- kicking out classic jams from Baduizm to her latest, allowing us to leave with lifted spirits, feeling more enlightened.